For all your drain cleaning needs, contact the professional team at Smith and Son Plumbing! There’s not one clogged drain we haven’t seen before or been able to unclog. Whether it’s your bathroom shower or basement floor drain, Smith and Son Plumbing is here for you. Call us today! Our drainage cleaning services are not only meant to be an answer to blocked drains; they are also necessary for the proper maintenance so that drain problems can be prevented. Drains are designed to channel waste that can be liquid, solid, or semi-solid. Most modern drain systems are easy to handle, however some drainage systems tend to require a more technical approach thus needing an expert’s touch. The drainage system is a network of intricately connected conduits designed to direct waste into a central containment area. In your home, the system is made up of interlinked drains running from the bathroom, kitchen, and utility room, and all are expected to work correctly. Each is designed to handle a particular type of waste and faces a certain risk of blockage. As such, the delivery of effective drainage cleaning services involves a deep understanding of the various drains and the waste they handle. 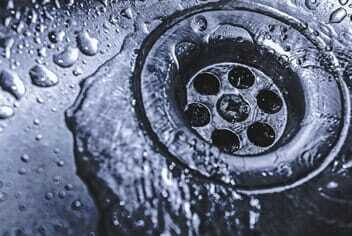 The drains in the kitchen tend to handle greases, soaps, fats, and food particles that are often washed down the sink. The flow of waster will soon slow down to a point where the homeowner will opt to use a plunger or get a bit creative with baking soda and hot water to unclog the drain. But such an approach is only a temporary answer. Professional plumbers at Smith and Son Plumbing can exclusively provide lasting solutions. The bathroom drains handle waster from the tubs, showers, toilet, and bathroom sink. It is possible to have a problem with the toilet drain because it is overwhelmed by items that should not be flushed down the toilet. A backed-up tab or shower drain is often an issue caused by hair and fibers that were washed down the drains. Here you will account for waste from the patios, laundry rooms, and garages; these areas tend to have unique drainage that includes floor drains. Given the nature of the waste that these drains handle, unclogging and cleaning them may not be done the same way as that of the bathroom or kitchen. The outside drain is installed to help in the management of rainwater, to direct it to the central drainage system or away from the house to the yard. The gutters have downspouts that channel rainwater to drains, but the water may bring with it some debris that includes leaves and small twigs that can block the drain and cause a backup. Drain cleaning is not just about unclogging your drainage system and getting rid of the foul odors, but also about helping maintain it so that it serves you for a long time. The use of DIY methods such as hot water and baking soda will only go so far before you ultimately need an expert’s touch. 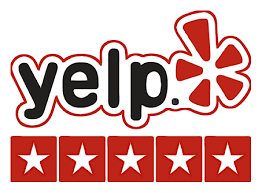 We have been providing expert plumbing services to the residents and businesses of Frisco, TX and surrounding areas for many years, and there is no drainage problem that we have not seen or been unable to handle. Contact us about our drainage cleaning services today and let us help you have a home or business with clean, free-flowing drains.